A surgeon from the University of Louisville Hospital has publicly criticized the staffing cuts made by KentuckyOne Health as creating an “unsafe” environment for patients. As The Courier-Journal reported, the surgeon, Dr. J. David Richardson, who is also vice chair of surgery and president of the American College of Surgeons, sent an email to university administrators and the press saying staffing for night shifts and the intensive care unit is dangerously low. Richardson pointed to crowded emergency rooms and long wait times for admission, noting that some patients who come in during the night shift are forced to wait until morning shift nurses arrive at 9 or 10 a.m. to be treated. Additionally, he raised concerns over a decline in clinical research due to limited resources. Even though the hospital has received funding for major studies, it has been forced to cancel this work due to a lack of available nurses to assist. In his email, Richardson said staffing at the hospital was the worst he had seen in the 34 years he has worked with U of L, and called the situation “a major patient safety issue.” Richardson called on KentuckyOne, the nonprofit division of Catholic Health Initiatives that manages the hospital, to increase funding for staffing and research initiatives. While KentuckyOne agreed to provide $1.4 billion in funding to U of L health operations over 20 years in a 2012 agreement, including $135 million over three to five years to support public health, nursing and other areas, The Courier-Journal reported sources that said only $72 million has been provided to date and layoffs were announced in February 2014. As Fox affiliate WDRB reported, KentuckyOne launched a nurse retention and loan payback program last fall in an attempt to increase recruitment and address the staffing shortage. However, the program did not address retention efforts and turnover at the hospital, and at hospitals throughout the country, remains high. As WDRB reported, nurses frequently cite insufficient time with patients, 12-hour shifts and excessive workloads as reasons for leaving hospitals or the profession. As The Atlantic reported earlier this year, nursing shortages are an increasing problem at hospitals throughout the country. There are several factors contributing to the decline in nursing staff, including an aging workforce and declining budgets. As the population ages, the increase in patients is creating a higher workload for hospitals while at the same time many current nurses are reaching retirement age and leaving the profession. Around 700,000 nurses entered the workforce in the 1970s and are projected to retire by 2024. Though nursing remains one of the fastest growing fields in the country and makes up the largest segment of the healthcare workforce in the U.S., available positions are not keeping up with the increased demand. As the general population, and the baby boomer generation in particular, ages, more nurses are needed than ever before. As The Atlantic noted, between 2010 and 2030 the number of senior citizens in the U.S. will increase by 75 percent, and about 80 percent of older adults have at least one chronic condition. For hospitals in rural areas or those with reduced funding, recruitment can be an additional challenge. Hospitals in major cities are often more attractive to recent graduates, who are more likely to appreciate the cultural amenities offered by large municipalities than rural locations. Private hospitals or large research hospitals also are more attractive to recent graduates due to generally higher salaries and the chance to continue education and professional development through clinical research and other opportunities. As hospitals consider their spending and revenue they must balance many complex factors and respond to an ever evolving healthcare landscape. With Questica healthcare budgeting software, institutions have a flexible and scalable platform that provides granular insight for specific forecasting and operating budget solutions. Thanks to greater visibility into their finances, hospitals can see how factors such as grants, donations, staffing costs or capital projects contribute to the hospital’s available funds over an unlimited number of years. With these precise tools in hand, administrators can make more informed decisions in allocating funds to staffing, increased salaries, clinical research and other expenses. 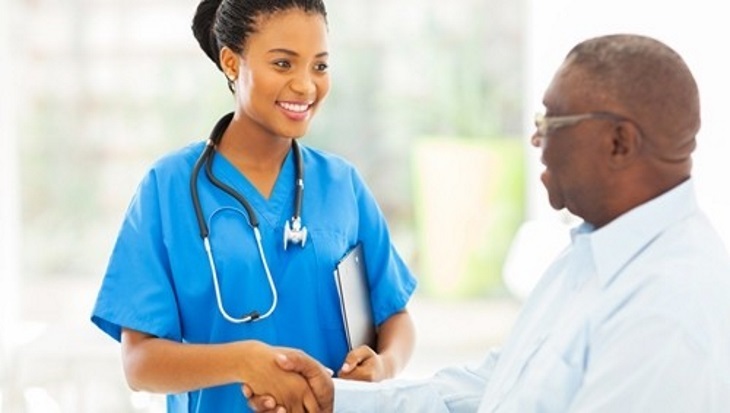 With performance tracking tools, hospitals can also use Questica to quantitatively track the efficiency of programs such as nursing retention or recruitment initiatives, as well as the overall quality of patient experience. These tools include the ability to define and establish specific measures or goals and track and report them over a number of years. With Questica’s unique ability to streamline information from multiple data sources, several performance metrics can easily be tracked through one system. Hospitals looking to address their nursing shortages should contact Questica today to learn how healthcare budgeting software and performance measurement tools can contribbute to better financial decision making and assist with planning for their institution’s future.